Let’s be straightforward here: the iPhone’s battery life is one of the device’s major downsides. While Apple did not introduce the larger battery that fans really wanted, but it did introduce power-saving features in iOS 9 – hey, it’s something, I guess. Anyway, if you still feel you’re getting the short end of the stick from your battery, it’s time to take matters into your own hands. Here are some tips which will undoubtedly improve your trusty smartphone’s battery life. The low power mode is a great way to save power, as it reduces overall power consumption, stopping background app refresh, some visual effects and animations along with automatic downloads. 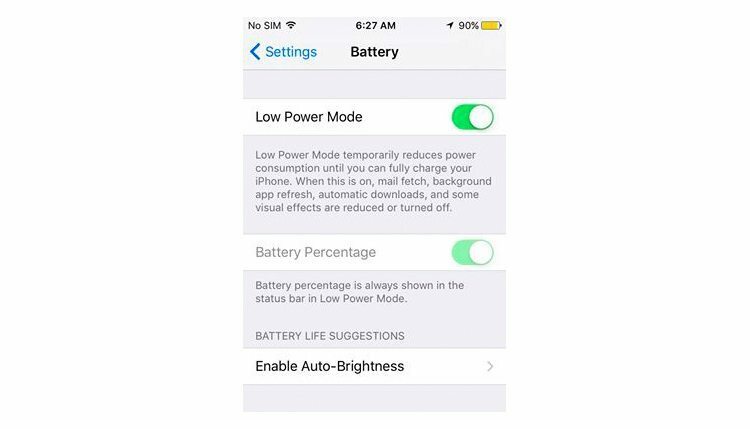 Turning this mode on will dramatically increase your iPhone’s battery life: try it right now by turning it by going to Settings > Battery > and by tapping on the Low Power Mode Switch. Note that this is automatically turned on when your battery power reaches 20%. 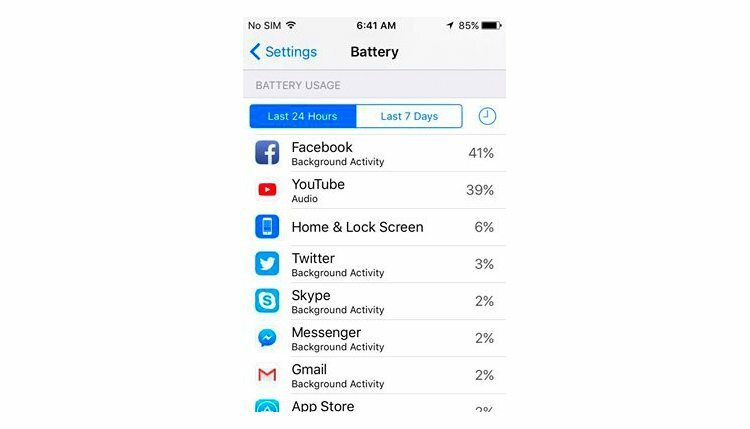 Another step is to check out which apps are taking a huge chunk off your battery. You either have the option of checking out which apps have been doing so in the past 24 hours or in the past seven days. In this particular case, the user (yours truly) has to keep his Facebook usage in check. 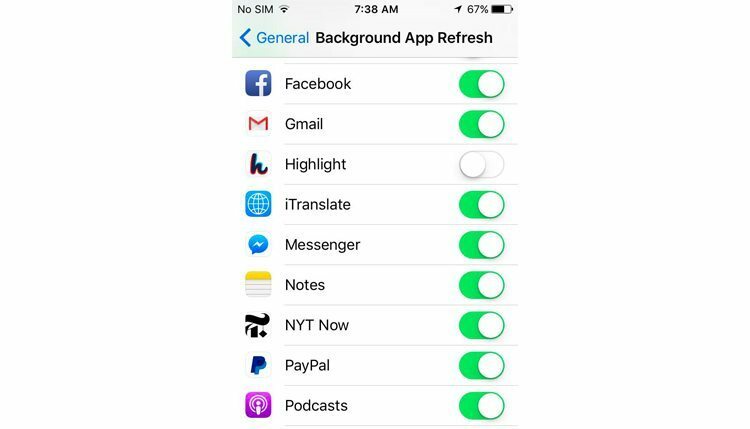 Once you’ve found out which apps are sucking the life out of your device, turn off Background App Refresh. The example prior to this, which shows the apps that take the lion’s share, shows Facebook as taking the top spot. In order to avoid having your battery decimated by these apps, simply go to Settings > General > Background App Refresh. You can then turn selected applications off or turn off the whole feature. Your iPhone gobbles up more power if the screen is brighter – common sense, actually. Reduce your screen’s brightness either in the settings or by simply swiping the bottom edge of your screen to bring up the control center. After which, adjust the brightness by using the on-screen sliders available. Here’s a lifestyle tip: an hour before going to bed, be sure to turn off your iPhone’s WiFi or turn on Airplane mode. You can also do this if your phone is not in use. WiFi and other network connections can constantly drain your battery, so it’s best to quell the draining beforehand. To adjust these settings, simply access the control center by swiping up in your home or lock screen and press the WiFi and Airplane mode icon. 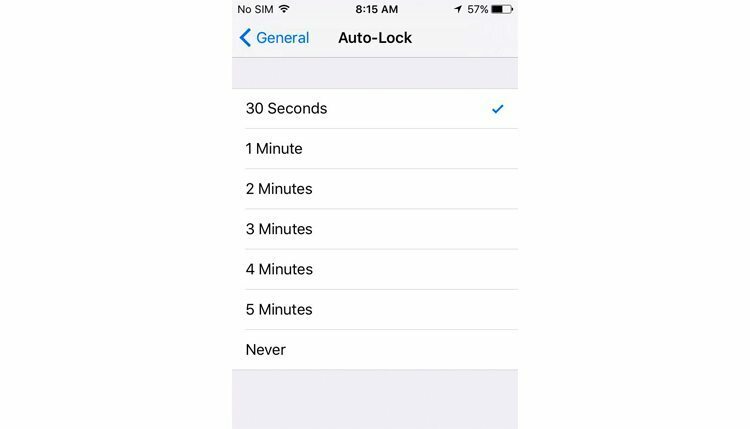 Though you wouldn’t want to enter your passcode every 15 minutes, auto-locking will prolong your iPhone’s battery life. To do this, simply go to Settings > General > Auto-Lock. After which, pick the preferred amount of time you want your phone to go into the lock screen after a certain amount of time. In this case, we recommend setting it to 30 seconds to max out your iPhone’s battery life. One of the best features of the iOS is AirDrop which requires a Bluetooth connection. It allows you to transfer files like photos, from your iPhone to another one. Unfortunately, as it seeks out other devices, it continuously drains your battery. 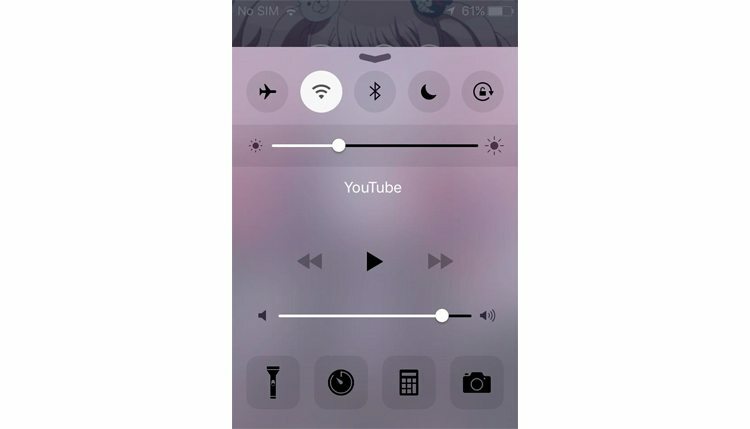 You can turn it off by accessing the control center. Animations don’t usually stand out on the iPhone, but it’s pretty cool. Try moving your iPhone slowly and you’ll see the icons move ever so slightly. It’s great, but utterly useless and a major battery drainer. 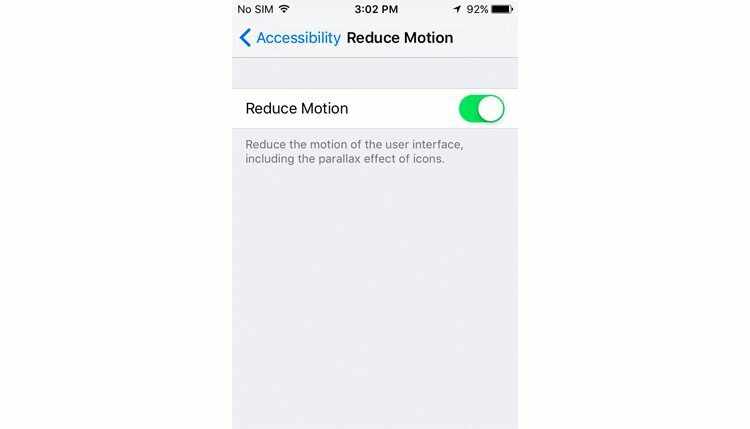 Turn it off by going to Settings > General > Accessibility > Reduce Motion. Tap it on after doing so. Volume affects battery life and the louder the audio, the more battery it drains. You can save battery by either using headphones (which require far less power than the speakers) or by turning off the music equaliser. 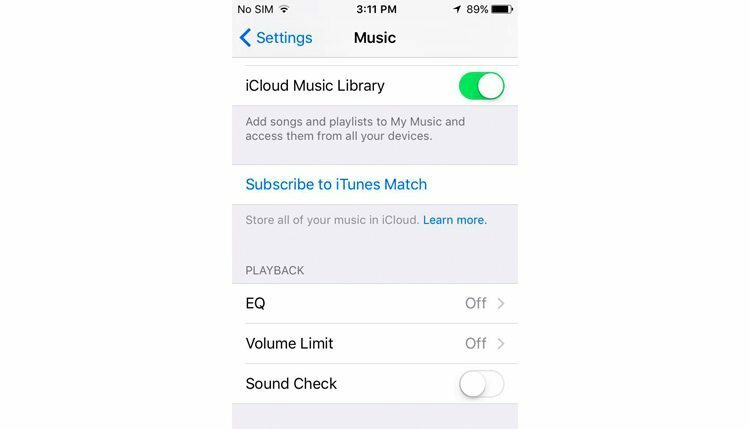 Access this setting by going to Settings > Music and make sure the “EQ” is turned off. If you’re stuck on the dentists’ office and horribly bored, pick up some magazines or read an e-book on your iPhone. 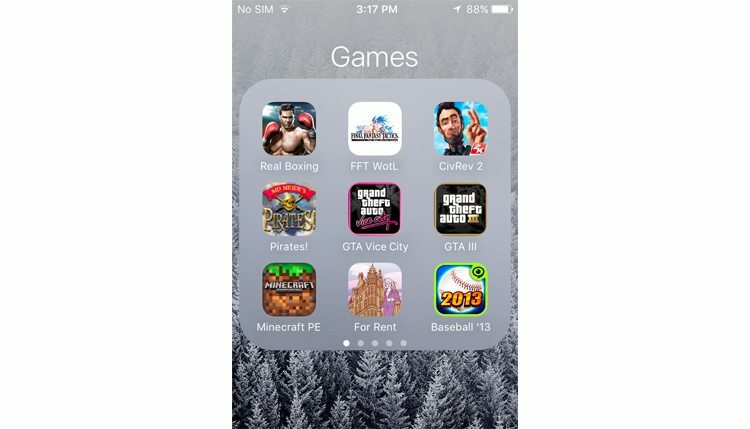 Playing games will burn through your battery, especially if these are large and high performance games (like GTA games shown above and Infinity Blade). Sure, games are a great way to kill time, but if you’re nowhere near a power source, it’s best to avoid them altogether. Try getting a separate device or a handheld console instead. Apple loves multitasking and apps that work in the background, which is why most of their devices are responsive and quick. 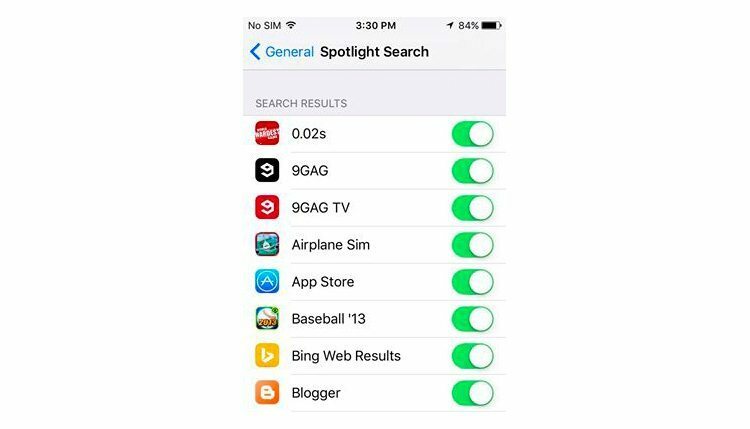 However, these apps burn the battery in the background – among these is the iPhone’s very own Spotlight Search. Access this via General > Spotlight Search and turn off some or all categories. iPhones have their own built-in GPS, or global positioning system, which enables users to find the nearest restaurants, areas of interest, and driving directions. It’s cool, but it can gobble up your iPhone’s battery life even if you’re not using it. 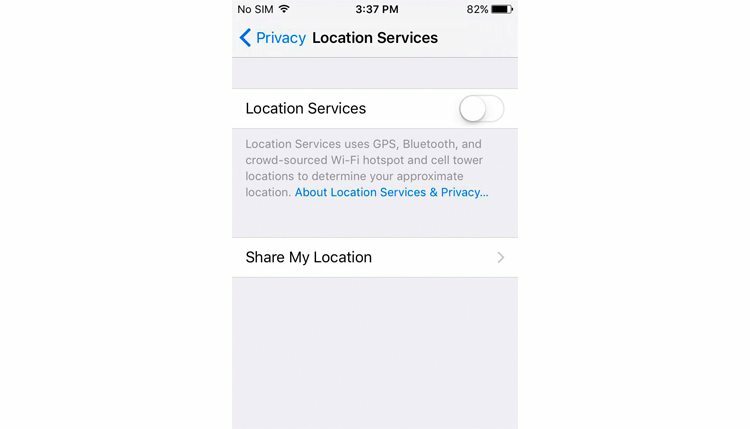 Turn it off by going to Settings > Privacy > Location Services, then slide to turn it off. One of the neatest features of the iPhone is it having Dynamic Backgrounds which are more pleasant to look at compared to stills and are animated. However, it’s a feature which can drain your battery, so it’s better left turned off. Turn it off by simply going to the Wallpapers and Backgrounds menu. 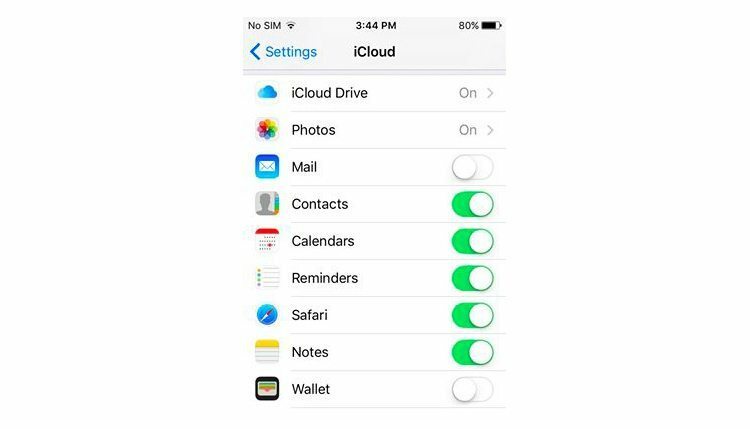 You don’t need to sync your iCloud every moment, so it’s best to turn it off until you do so and turn it on when you need it. Simply go to Settings > iCloud then turn the ones you don’t need synced off. You can turn it on again after you charge or plug in your iPhone. Exclusive only to the iPhone 5s and later models, Fitness Tracking can track how many steps you take and your overall fitness activity. You can turn this off by going to Settings > Motion and Fitness then turn off the Fitness Slider.